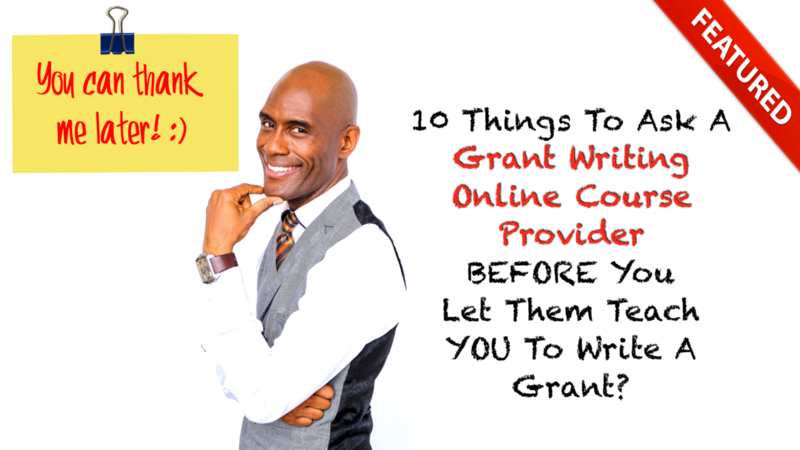 10 Things To Ask A Grant Writing Online Course Provider BEFORE You Let Them Teach You To Write A Grant! If you are considering taking a grant writing online course you owe it to yourself to watch this short and informative video to help you discover the types of questions you should be asking an online grant writing course provider to ensure you get what you really want. You'll be glad you have been armed with these questions and will receive immediate access to the Video and PDF Special Report listing each of the 10 Must-Have-Things-To-Ask-List for you convenience.